The Diary of a Nouveau Soccer Mom: Presenting the (finally finished) Kaya lapbook! Presenting the (finally finished) Kaya lapbook! This little lapbook has been several weeks in the making. It includes one dead printer, one misplaced book, and many many "we'll finish it after TKD/Brownies/church/life" moments. I've mentioned how we're not thrilled with our current history curriculum and I need to seriously find something I like better. However, that isn't truly possible until the fall, and I don't just want to buy the first thing I find. So Faith and I decided that we'll work through several of the American Girl books and do some history research from there, then make lapbooks on what she has learned. After some discussion, we decided to go back chronologically and the first historical AG book is Meet Kaya, circa 1764. So Miss Faith read it and we learned quite a bit about the Nez Perce Indians during that time. 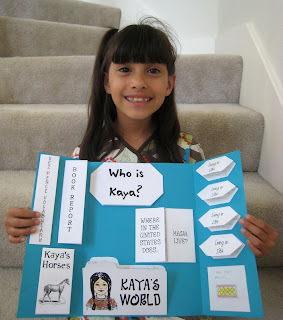 Today, we finally finished putting her lapbook together, mixing historical facts and literature information from Kaya. 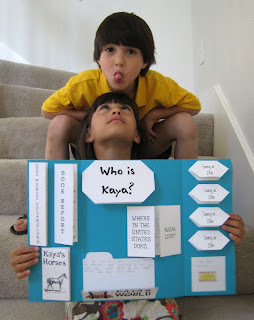 On the left (looking at the picture), she has a flap book of Nez Perce words and translations, along with a flap book report, and a book talking a little about Kaya's horses. The middle section includes a literature booklet called "Who is Kaya?" 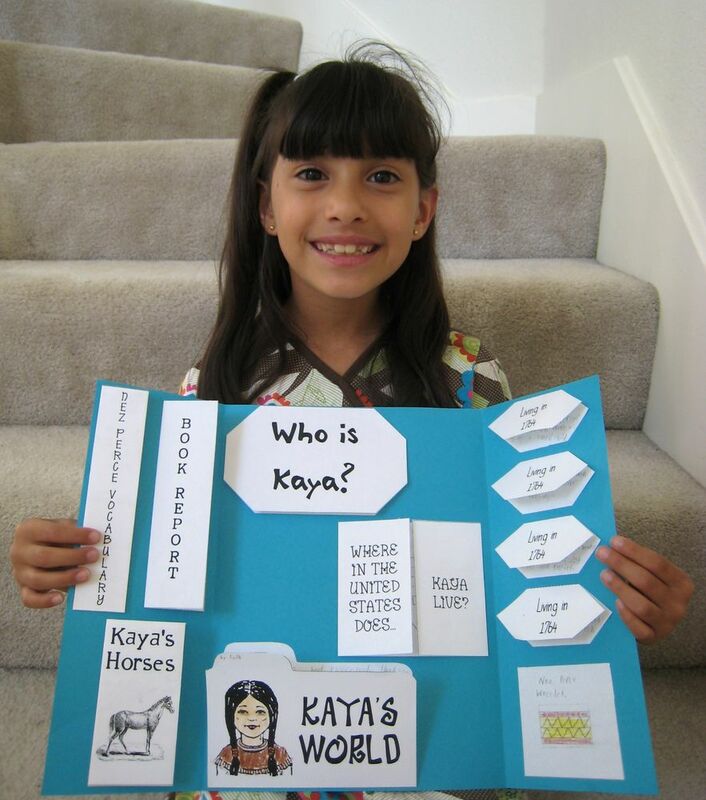 and a more historical booklet called "Kaya's World". The upper one is based on the actual AG story while the lower one is facts about the Nez Perce world at the time. The map book in that section shows where Kaya would have lived. The right flap includes more facts on the world in 1764 and a drawing of a Nez Perce bracelet where Faith tried to make a similar pattern. 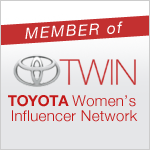 Of course, no photo shoot at my house would be complete without just a little bit of goofiness. Ben went up the back stairs, then came down the front stairs to pose for the picture with Faith. Aren't they just happy little critters? LOL! love that last photo. 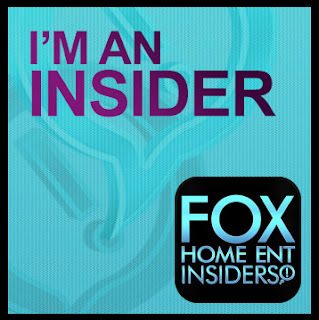 I clicked on over to your beautiful blog from HHH and am looking forward to looking around some more.